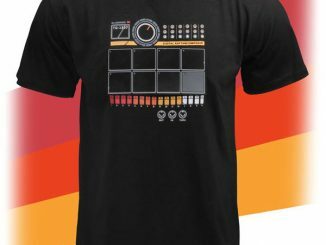 After the success with the guitar and drum kit t-shirts, ThinkGeek is now introducing the third member of the playable electronic shirts band: Say hello to Mr. Synthesizer. 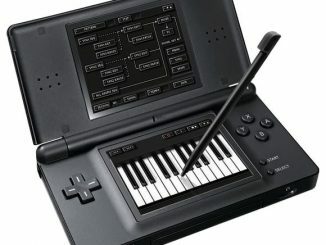 Each of the 25 playable keys represents a different note played in one of the five designated styles. 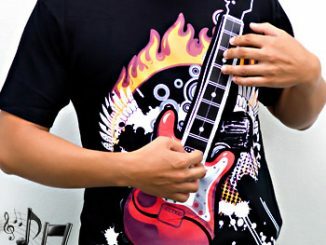 The shirt’s intricate functionality allows for eight keys to be played at once giving it an eight-voice capability. 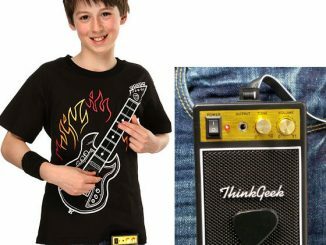 The included wearable retro style mini amp box attaches to any belt or pant pocket and will assure that all your friends and family can hear all those sweet t-shirt tunes. 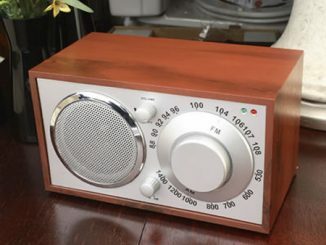 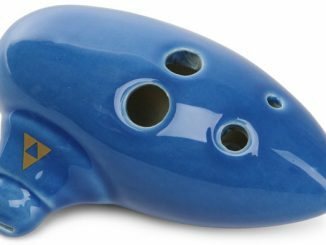 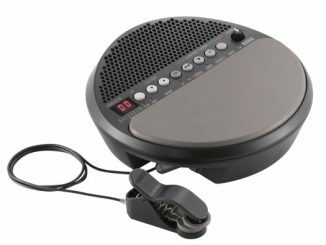 The amp requires 4 AAA batteries and features an adjustable tone and volume knob. 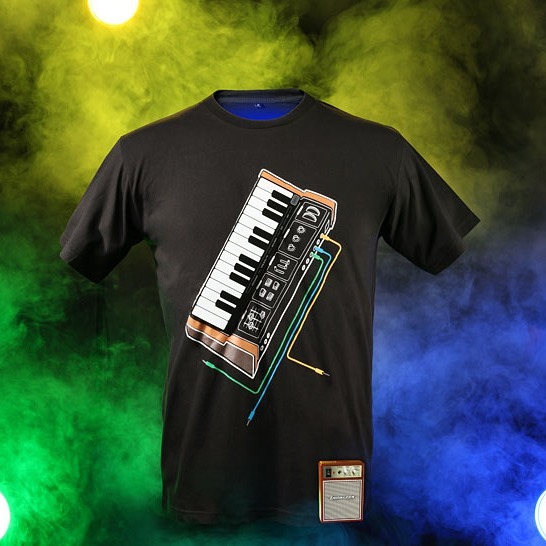 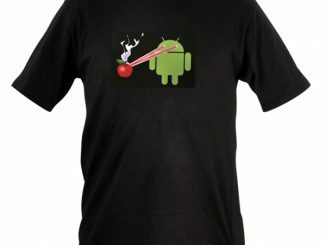 The Playable Electronic Synthesizer T-Shirt is available from ThinkGeek for $29.99. 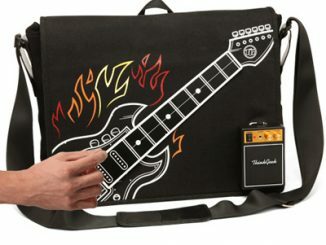 Too bad they didn’t make another one for left-handed people too.